With NFL teams now officially allowed to legally discuss contracts etc. with players, the buzz around the league has stepped up again. After a great start to John Dorsey’s reign as GM of the Cleveland Browns which has seen him trade in 3 big name players, Jarvis Landry, Tyrod Taylor and Damarious Randall, in what has been said to be a move that is partly aimed at improving the team but also to make it look more attractive to free agents who Dorsey wants to bring in. Th start to the tampering period has been pretty quiet and a little disappointing, if I’m honest. I should have known that things will take time, as the process of players visiting a number of teams can take longer than getting a trade done. I guess the first day (or maybe two) is spent initialising possible deals and if a deal gets done too quickly could raise a few eyebrows and smack of illegal tampering. 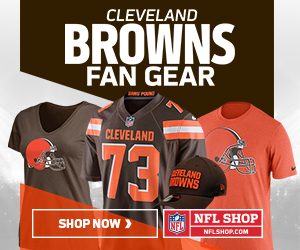 After the busy start to his reign, things have quietened down a little around John Dorsey and the Browns, but there has been speculation from a Browns beat writer or two about a few names the team are going after in this free agency market. Dorsey is a ‘win now’ kind of a guy and looks to be happy to bring in players in their prime. He’s already shown this with the reported trades he’s pulled off for relatively little in the way of cost to the team. The names he’s been linked to so far in free agency are players who are likely to have quite a few suitors as they have proven their worth and are in their prime. So, what is the gossip saying about the Browns and which players they are targetting in FA so far? A former 1st-round pick (17th overall) by the New England Patriots in the 2011 draft, Solder has only ever played for the Patriots and, as such, is a player who knows all about winning in the league. A quick look at his ratings on PFF shows me that he’s currently their 32nd best tackle, which isn’t very good. I must admit that he has seemed to be declining in recent times but he’s still the best OT available in this FA class. His PFF ratings indicate that it’s his pass-protection that has been letting him down (68.9 rating) but his run-blocking is still very good (83.2 rating). This tells me he could best serve as a right tackle at this stage of his career even though he’s spent most of his time on the left side and been very solid. He did suffer a torn bicep in 2015 and ended up in IR, but that hasn’t stopped him in subsequent years from being the Patriots starting LT and winning another Super Bowl. He could be a great addition to the team at LT if Joe Thomas retires to concentrate on his media career, or at RT for a season if Joe does come back. The problem could be that Solder would want to be the main man and play LT for the Browns as that is considered the much more important position and therefore gets paid more money. I can only see this happening if Joe Thomas is retiring and Nate Solder is promised the starting LT job. I just hope Thomas has already let the Browns know his intentions and is just dragging out his announcement in an attempt to keep himself relevant and in the news as a means of helping his media career. I really want this dude back in a Cleveland Browns uniform next season. He was great for them in 2016 and has freakishly good athletic ability. I can’t believe how easily he just glides past people whilst looking like he’s not actually putting much effort in. He was the safest pair of hands whilst at the Browns also. I’d love to see him lining up on the opposite side of the field to Josh Gordon as our big-bodied receivers, with Jarvis Landry in the slot, David Njoku at TE and Duke Johnson in the backfield. Add all those good weapons to the fact that we now have a dual-threat QB and things could get difficult for opposing defences. I’d say that the Cleveland Browns could definitely do with at least one more bigger WR and now that Allen Robinson is looking like he’ll be transferring from Jacksonville to Chicago and Sammy Watkins is off to Kansas City, I think Pryor is our best option. Even if he’s not a starter, I’d like to have him on the team and getting plenty of playing time. Probably the biggest name at cornerback on the market right now is Trumaine Johnson, formerly of the LA Rams. The Browns traded for Green Bays best CB, Damarious Randall, last week but it is thought that he will revert to his prefered and more natural position of free safety in Cleveland. This is a great move by the Browns as they had a desperate need at FS and this now means that one of last year’s 1st-rounders, Jabrill Peppers, can also revert to his prefered and more natural position of strong safety. Jason McCourty was great at CB last year for the Browns and I’d say that he did enough to keep his starting spot, but we’d need another to play opposite him and Trumaine Johnson would be a fantastic addition to do that. I’d still say they need a rookie or two, or another FA, bringing in as beyond Jason McCourty and Brien Boddy-Calhoun, the Browns don’t have much quality at the CB position. What does worry me a little is the fact that PFF has him as their 68th rated CB with a rating of 74.2. This isn’t a bad rating at all, but I can imagine he’ll be able to demand top dollar and I’d have a concern that he might be on the decline after posting ratings of just over 80 the previous two seasons. Another cornerback the Cleveland Browns are being linked to is ex-Washington Redskin, Bashaud Breeland. I must admit that this is a guy that I’ve not taken much notice of in the past but he looks pretty solid and has been a starter for the Redskins. According to PFF, his best year was 2015 when he was rated at 80.5 before having a down year in 2016 followed by another decent year last year where he managed a rating of 79. Like I say, the Browns need multiple additions to the defensive secondary and Breeland looks like the perfect kind of player to fit and improve a unit that was pretty crap in 2017. So, they are the names being touted as the ones the Browns are working towards signing during this relatively quiet initial free agency period, but I wouldn’t be surprised if there are more in the works. Who would you like to see on the Cleveland Browns roster next year that can be had from free agency? Let me know in the comments below. PreviousWho’s Next Out of Cleveland? DeShone Kizer’s Job to Lose?